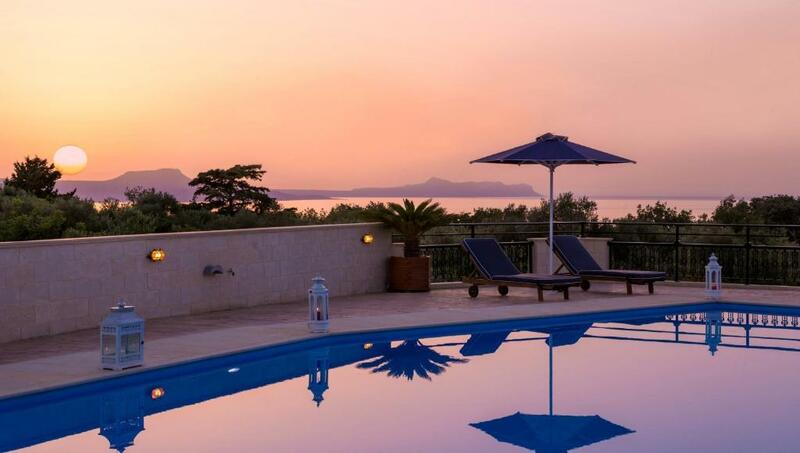 Featuring a private pool and a furnished sun terrace, Rithymna Mansion is located in Prines Village of Rethymno. 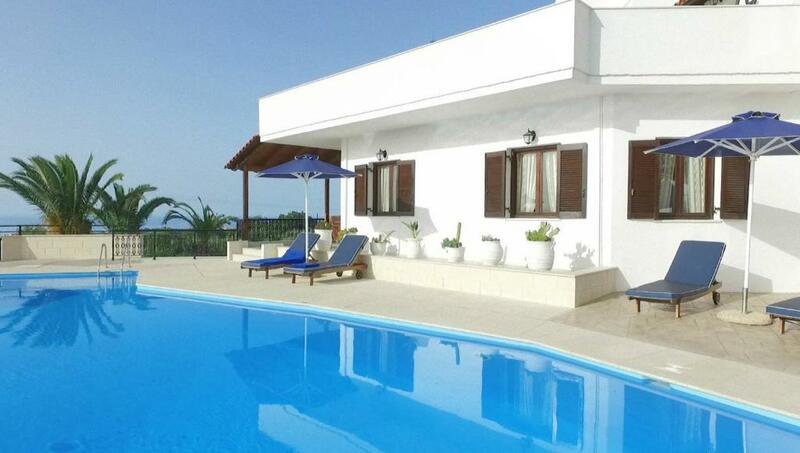 The split-level villa is set amid blossomed gardens and enjoys views over Psiloritis Mountain and the Cretan Sea. 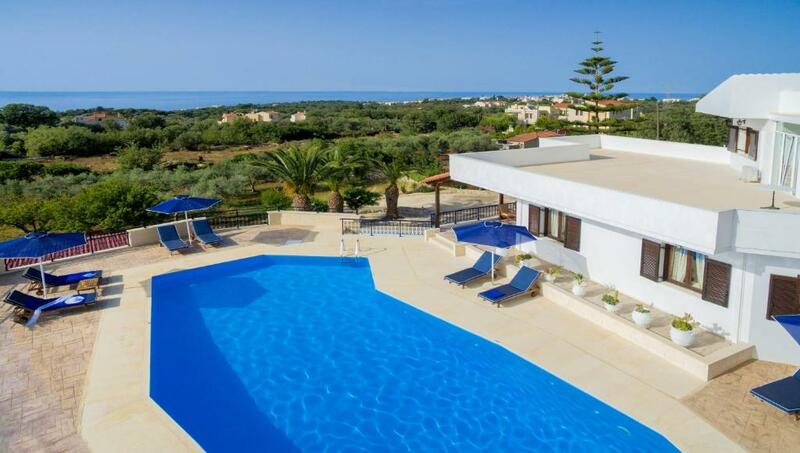 Fitted with tiled or marble floors and traditional furnishings, the spacious villa consists of 4 separate bedrooms, a living room with fireplace, and a fully equipped kitchen. A desk room with PC and library, and 2 bathrooms are also featured. 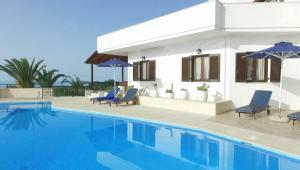 Facilities include washing machine, dishwasher, flat-screen satellite TV and free Wi-Fi. Guests will find taverns and mini markets within 1,000 feet from Rithymna. Chania Town is located 37 mi away, while Chania International Airport is at a distance of 40 mi. 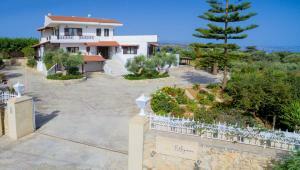 Rethymno Town is 6.2 mi away and Episkopi Beach lies within 3.7 mi away. Free on-site parking is possible. 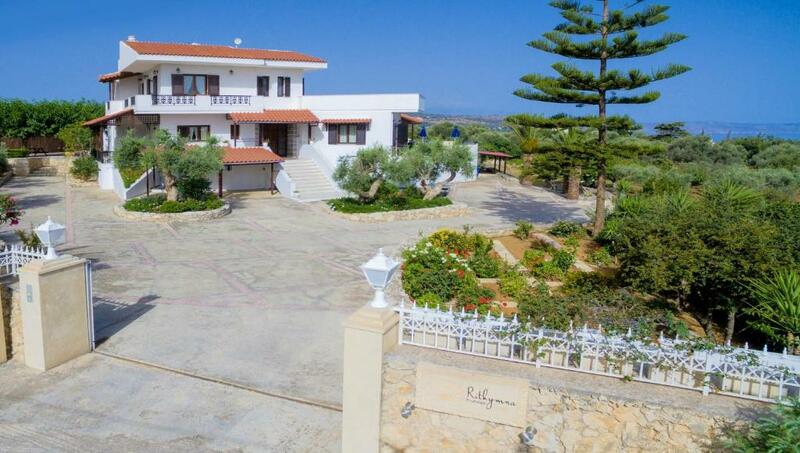 When would you like to stay at Rithymna Mansion? The property has a way to make you feel at home. Prines is a small ancient village, with some houses dating back to Venetian times, having olive trees, oak trees and much vegetation. 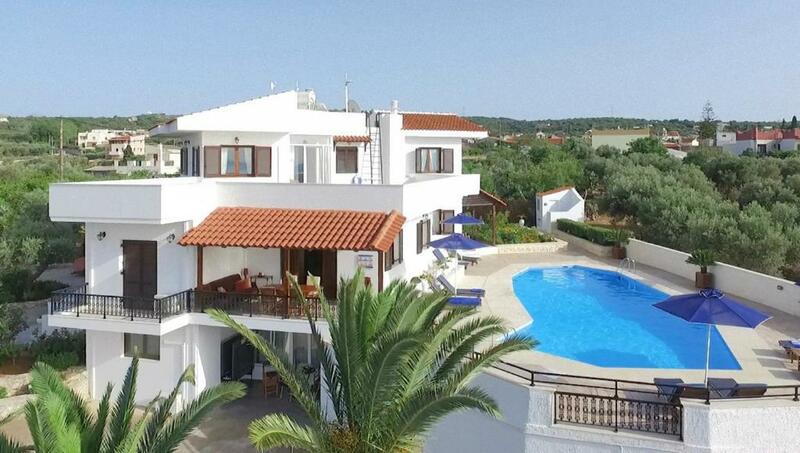 Located 5 km to the hillside to the west of the seaside town of Rethymno, and undisturbed by heavy traffic, it is an ideal location for those who love and enjoy a quiet, peaceful life. The Venetian occupation of Crete (1204 – 1669 AD) has left its traces on Prines, which, together with the nearby village of Vederi, are classified as “preserved traditional settlements”. In the north part of the village you see the old village spring and nearby the St. Nicolas church, built in the 13th century. The old houses of the village were constructed a century ago with stone and wood, according to tradition, with half a meter thick walls. House Rules Rithymna Mansion takes special requests – add in the next step! Rithymna Mansion accepts these cards and reserves the right to temporarily hold an amount prior to arrival. We need at least 5 reviews before we can calculate a review score. If you book and review your stay, you can help Rithymna Mansion meet this goal.